Simply the Best Coffee - AAI | Assael Associates, Inc. 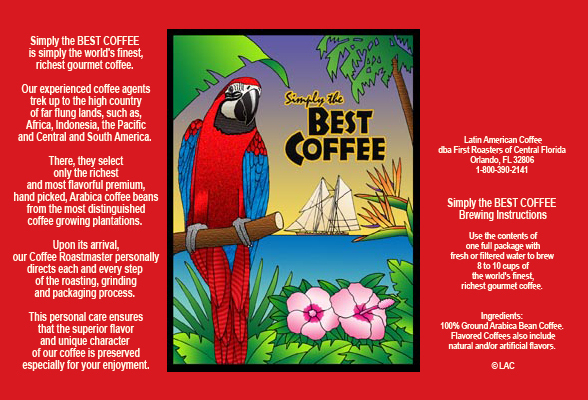 Simply the BEST COFFEE is simply the world’s finest, richest gourmet coffee. such as, Africa, Indonesia, the Pacific and Central and South America. Arabica coffee beans from the most distinguished coffee growing plantations. of the roasting, grinding and packaging process. of our coffee is preserved especially for your enjoyment. 8 to 10 cups of the world’s finest, richest gourmet coffee. 100% Ground Arabica Bean Coffee. Flavored Coffees also include natural and/or artificial flavors.